Summer has well and truly begun and it's time to swap your jumpers for pretty dresses, shorts and t-shirts. Not only is the weather warmer, summer party and BBQ invites are more frequent and it's important to look the part at these events. 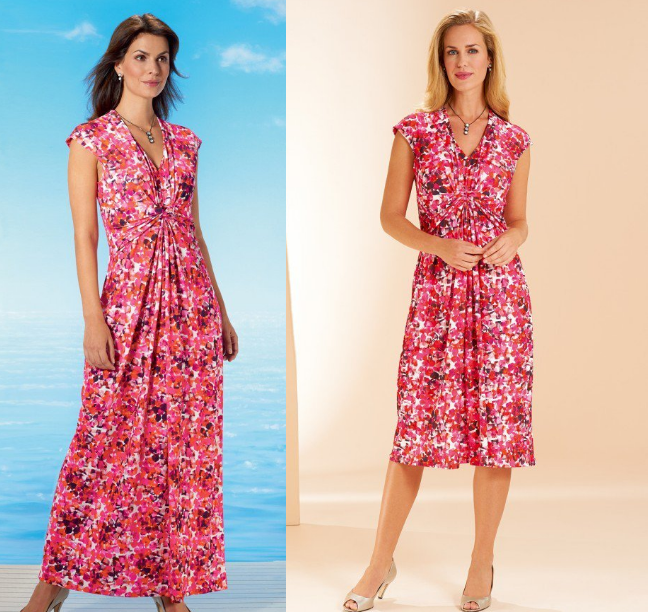 I've been looking at the range of ladies summer dresses over on the David Nieper website and have brought you a few of my favourites. This Soft Silk Jersey Dress is the perfect day-to-night outfit. Pair it with some sandals or flip flops for a day at the beach or park and then in the evening add some tights and heels. It is also available in two different lengths to suit whatever event you are heading to. The sleeves also give you a bit more cover which is great when the evenings are cooler. You could even add a waist belt. Another outfit that can easily be taken from day to night is this lovely Uncrushable Dress. Offered in both a maxi length or shorter, this dress is absolutely perfect for this season. The bright colours mean you'll stand out from the crowd. It's also available in sizes 10-28 which I think is fantastic and would suit all sizes with its curve skimming drape detail on the front. Almost all of the garments are made in Derbyshire and if you live local to the area you can pop into the company shop to see the latest collections, browse designer samples and get a really personal service when choosing the perfect outfit. Delivery is just £4.95 in the UK and these gorgeous dresses can also be delivered worldwide. * Sponsored Post - Photo credit to the David Nieper website.